Burt's Bees offers family jammies collection pajamas from $5. Burt's Bees offers an extra 20% off sale items. Burt's Bees offers 20% off sitewide. Burt's Bees offers up to 50% off+extra 30% off final sale. 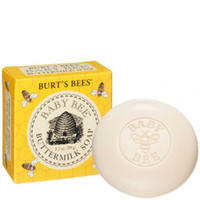 Burt's Bees Baby offers an Extra 20% Sale-on-Sale. Discount reflected in your shopping cart. Burt's Bees offers 25% Off on 100% organic cotton baby and kids clothing via coupon code "FRIENDS25". 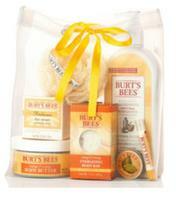 Burt's Bees offers the Burt's Bees Summer Medley Grab Bag for $20. Burt's Bees offers the Burt's Bees Spring Sampler Bag for $20. 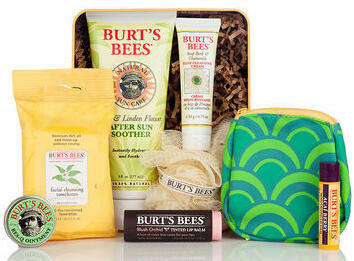 Burt‘s Bees offers the Spring Sampler for $20.00. 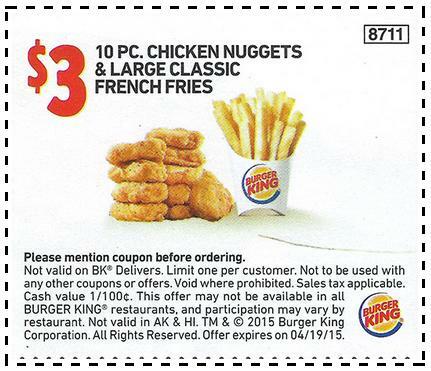 Burger King offers the 10 Chicken Nuggets and 1 Large French Fries for $3 via the printable coupon. Burt's Bees offers the Holiday Grab Bag for $20 via coupon code "THANKU3". Or, the the Summer Grab Bag (a $55 Value) for $20. 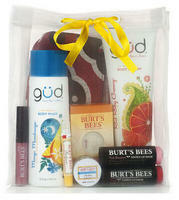 Set include: 9 must-haves from Burt's Bees and güd, Contents of bag may vary. 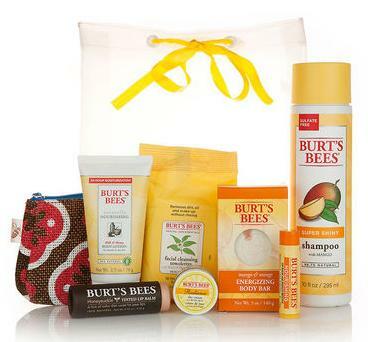 Burt's Bees offers the Summer Grab Bag (a $55 Value) for $25. Burt's Bees offers the Burt's Bees Fall Grab Bag for $15 with $5 for shipping. 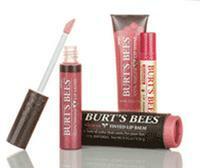 Burt's Bees offers the Free Tinted Lip Balm with any purchase. Burt's Bees offers $1.5 Off Smooch-Worthy Shades. 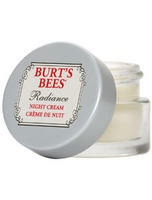 Burt's Bees offers the Free Ultimate Care with any $30 Purchase.